When we manufacture springs, there are many things we must take into account to ensure that the piece we create suits the job it is needed for. One of these considerations is the material it is made from. One material that we work with on a regular basis is stainless steel. So what is this material, and why is it so often used to create springs and wire forms? Stainless steel is the name given to a range of types and grades of steel which are used for corrosion resistant applications. The metals are iron alloys and contain a minimum of 10.5% chromium. They can also contain nickel, titanium and copper amongst other materials which improve their structure and strength. To be classed as a stainless steel, the metal must be corrosion resistant to a certain level. What are Some of the Properties of Stainless Steel? As this metal is particularly corrosion resistant, it is often used in food applications, such as in cutlery. This is due to the fact that it does not rust like ordinary steel, so is safe to use for eating utensils. Stainless steel is also often used in architecture and can be seen in the iconic point of the Chrysler Building in New York and the Sibelius Monument in Helsinki. The metal also has many medical applications due to its ability to resist corrosion. Many medical tools and instruments are made from stainless steel as well as surgical and dental implants. Why is Stainless Steel Used for Springs? Stainless steel is a popular material for use in springs. This is largely due to the corrosion and heat resistance present in the metal. As the material is hard-wearing, it makes it an ideal option for many applications. 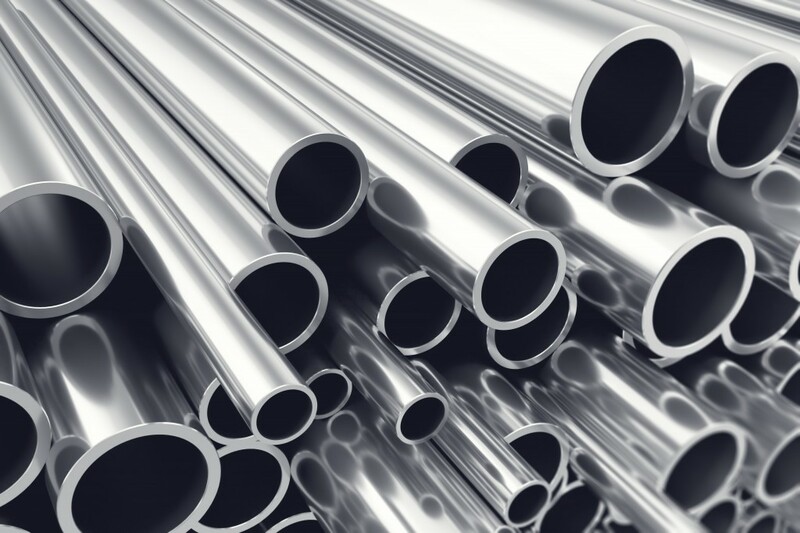 You can find varying levels of elasticity, heat-resistance and other important properties in different stainless steels, so this is a material that can serve a huge range of requirements. What are the Types of Stainless Steel? Stainless steel is a material that we often work with at Airedale Springs, however, we also work with a range of other materials, dependent on the requirements of any particular project. If you would like to discuss your next project with one of our experts, please don’t hesitate to get in touch by calling us on 01535 643456 or by dropping an email to sales@airedalesprings.co.uk and we will be more than happy to help. In the meantime, make sure to take a look at our materials page to find out more about our springs and read our blog about choosing the right materials for springs.